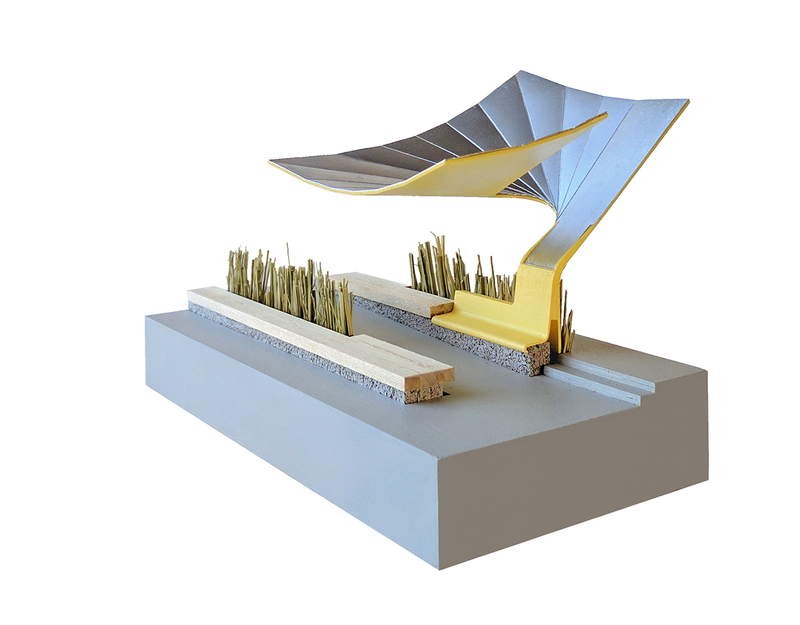 Jury comments: Although this project is located along the edge of the Milwaukee Harbor, the jury felt that it could work well along many urban waterfronts. 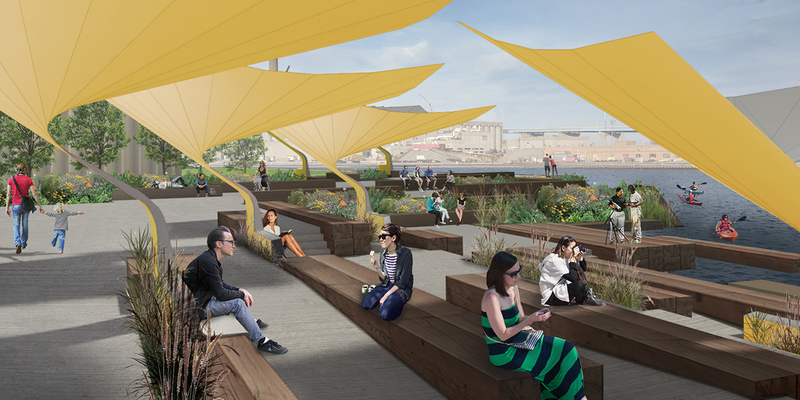 The project is composed of water lily–inspired metal umbrellas spread out along the waterfront and interspersed with paths and an amphitheater. We likened it to the pink parasols at Sugar Beach in Toronto or Christo’s Gates in Central Park. The design is well detailed and functional, providing shelter from both sun and rain. 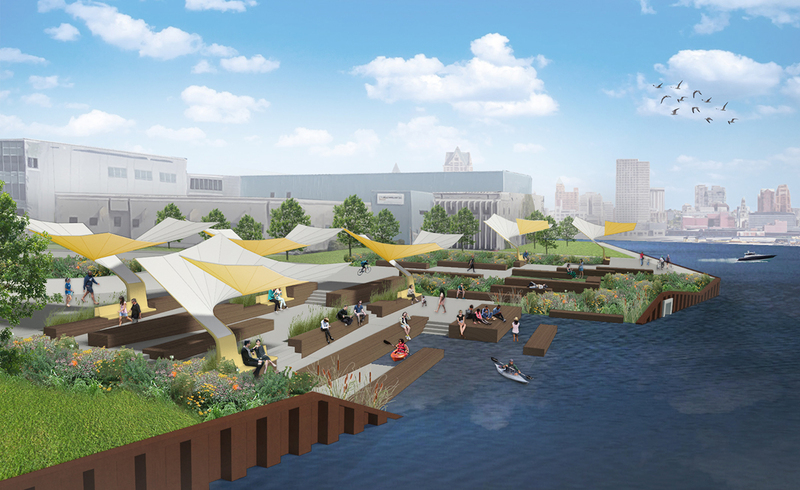 If realized, this will become a memorable addition to the Milwaukee waterfront.